You could argue that every franchise can be developed at the franchisee's desired pace, as the growth of that business depends on the effort and determination of the person at the helm. Dublcheck however, has built into its franchise package guaranteed turnover levels that gives franchisees the stepping-stones they need to achieve their desired success levels. From a launch pad that starts at a turnover of £12,000 per annum for a hands-on business, up to a turnover of £500,000 per annum for a management role, franchisees can grow their businesses at a controlled pace by purchasing additional contracts when they've consolidated their existing client base. Far from limiting the potential of your business, Dublcheck says that these guaranteed turnover levels gives franchisees a smooth introduction into sales. 'You know exactly what turnover you are buying into and it leaves you free to concentrate on looking after your customers while we do the sales,' explains Founder Carol Stewart-Gill. Dublcheck franchisee David Floyd is currently growing his business based almost entirely on referral business. He bought the franchise from his brother Jon in July 2004, when Jon and his wife decided to sell the business and move into catering. 'I could see how well the business was doing and how professional Dublcheck are,' David recalls. From 32 contracts and a net monthly income of £13,000, David has grown the business to 43 contracts and a net monthly income of £20,000. His largest contract is currently with a major mobile phone retailer, cleaning two large call centres. David points to the range of support services available with Dublcheck that includes: a full invoicing and money collection service, a credit control service, franchisee intranet, and an optional payroll service. There is also a mentoring scheme available to help franchisees feel confident and secure in their business. Funding a Dublcheck franchise need not be a barrier to success as the company has negotiated special preferential rate loans with major high street banks. 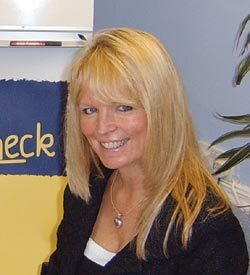 Carol clarifies: 'Dublcheck's track record at establishing profitable and successful franchises gives the banks greater confidence in the applicant. Established in 1993, Dublcheck has grown into a national network of over 100 franchisees. 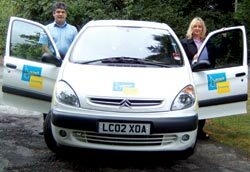 Carol still plays a very active role in the day-to-day management of the franchise and understands that making the right choice of franchise can be difficult. She reasons: 'There are many choices of franchise available, each making different promises. It's important to realise that to be successful requires hard work, commitment and good support, which isn't something that a franchisor that's been around for a couple of years can guarantee.